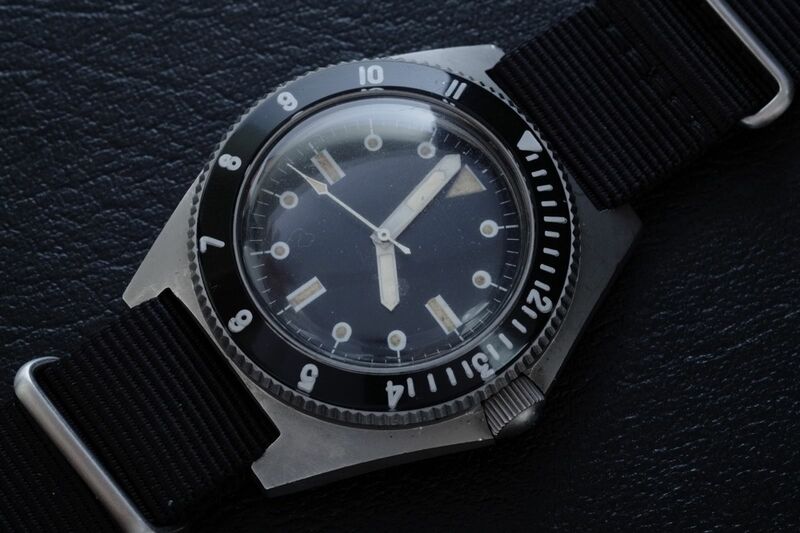 As far as classic military dive watches go, it’s hard to beat the Benrus Type I. 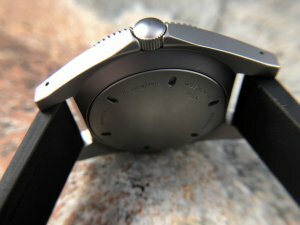 Tough as a cinder block and stripped only to the essentials, it truly epitomizes a military-spec watch. But vintage examples of the Benrus Type I are difficult to find, incredibly pricey, and often afflicted with brittle crown stems or damage from extreme use. 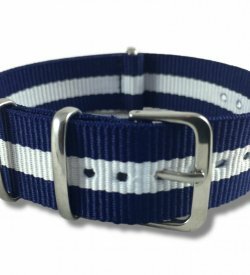 In other words, a great piece for the safe but not exactly a daily wearer. 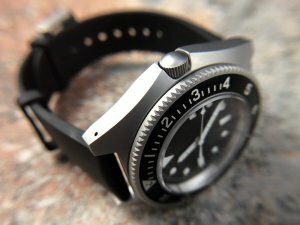 Enter Bill Yao and MKII, an American watch boutique that specializes in reviving (and improving) old military classics. The Paradive is a tribute to the Benrus military dive watch used by American Special Forces during the Vietnam War Era. This iteration of the Paradive – known as Gen. 3 – is part of MKII’s “ready-to-wear” collection, a line of watches (including the previously reviewed Hawkinge) that is mass-produced in Japan and QC’ed in Bill’s Pennsylvania workshop. This isn’t the first time we’ve seen this design from MKII. In fact, the Paradive is an evolution of a watch we first saw back in 2006 with the MKII Blackwater, a watch that shared the asymmetric case of the Benrus, albeit with several different dial and bezel configurations. 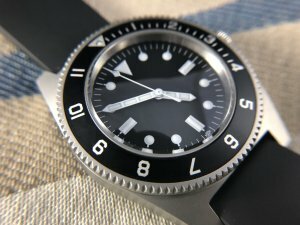 Later on, the Blackwater became the first generation Paradive, which looks very much like the current version, only it was hand-assembled by Bill himself, contained a Swiss movement, and had a few other bells and whistles (an acrylic lumed bezel and helium escape valve, to name a few). But this version of the Paradive is part of MKII’s push into the mainstream market, and as a result they are no longer personally assembled by Mr. Yao. 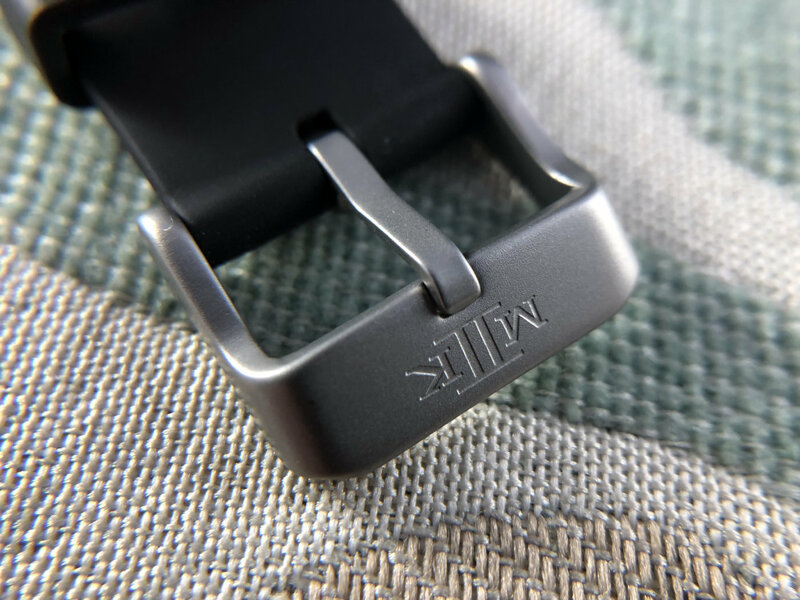 Offshore manufacturing has enabled MKII to deliver this watch “on-demand”, and for those used to waiting months, if not years, for MKII’s traditional models (now branded “BenchCrafted”), the more accessible models of the ready-to-wear collection provide a welcome respite. 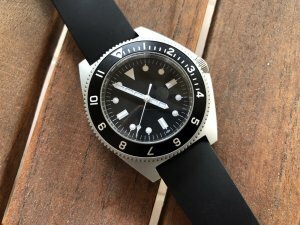 Today I’m going in-depth with the MKII Paradive, a watch that is so “toolish” that it looks more at home in your dad’s garage than in your velvet lined watch box. 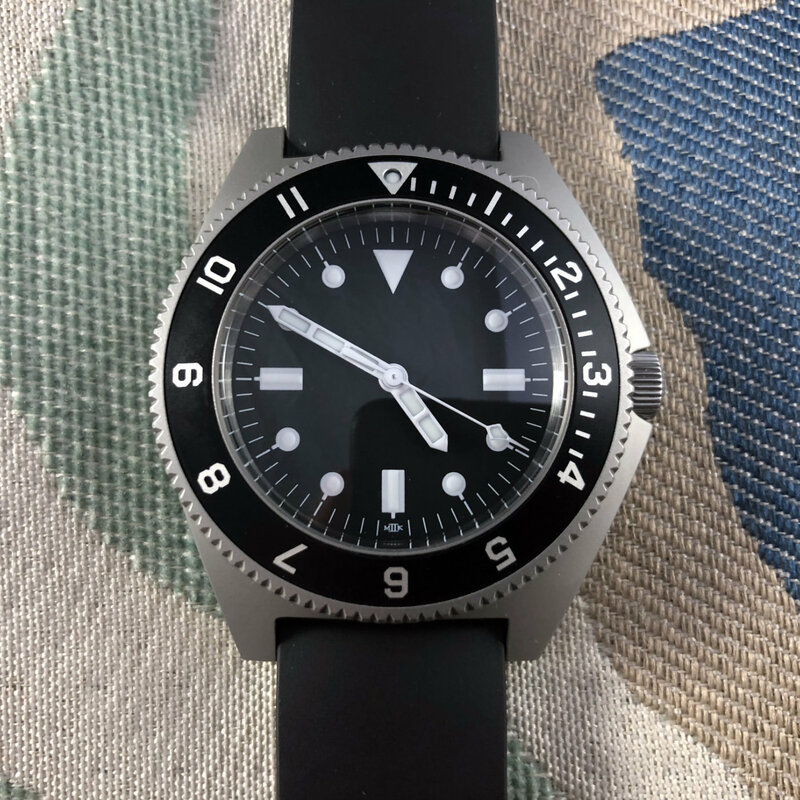 The Benrus dive watch is based on the US Military spec MIL-W-50717, first produced in the early 1970’s and issued to the Navy Seals and other US Special Forces. 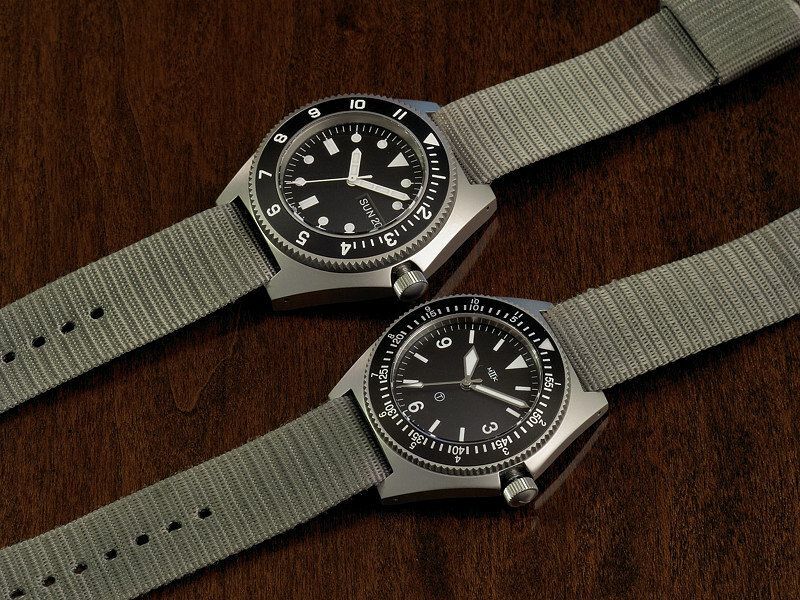 Two different versions of this watch exist, known as the Type II and the Type I. Both are built to essentially the same specs, with the primary difference being the layout of the dial. The Type I is simple, containing only basic geometric shapes to mark various points in time. The Type II is more complex, and features the classic 24-hour dial configuration found on many other military time-pieces (including the GG-W-113 pilot watch). 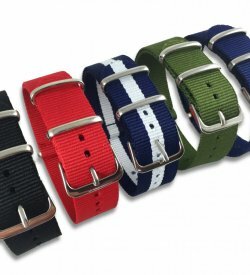 Measuring 43mm wide and 16mm tall, these watches were incredibly durable and made to be beat to hell and back. A monocoque case improved water resistance, and these models were tested to depths of up to 1200 ft, an incredible achievement for the time period. The asymmetric case, an iconic feature of these mil-subs, was a brilliant piece of design that eliminated the need for crown guards by integrating the crown and stem into the case itself. 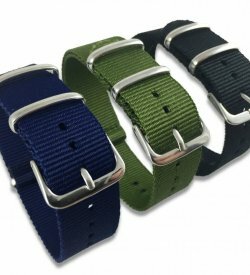 The result is both sleek and functional, and is often cited as a favorite feature of these old watches. The 12 hour bezel provided basic GMT functionality that doubled as a rough dive timer, and the wearer could easily adjust the bezel to line up with another countries timezone or time a decompression. The thick serrated edges made adjustment a snap in a wide-range of weather conditions, or with heavy gloves. The Benrus Type II and Type I was manufactured in quantities of around 15,000 pieces from 1972 until 1980. 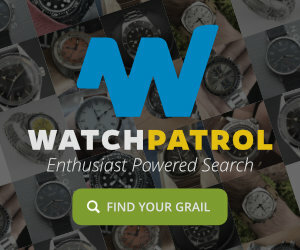 This watch was never sold to the general public, and most issued pieces have been lost in combat or destroyed from heavy use. As a result, vintage pieces are becoming more scarce with secondary market prices rising into the $3k to $4k price range. 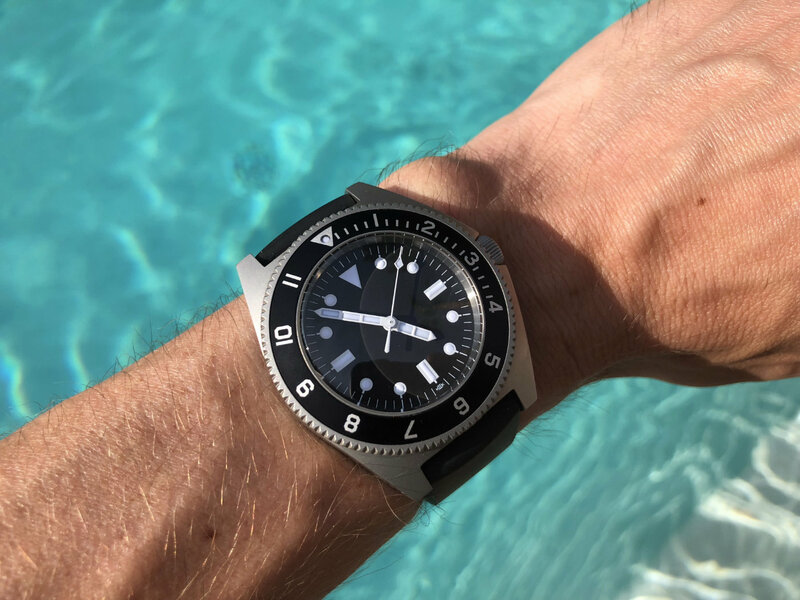 The MKII Paradive is a faithful recreation of the MIL-W-50717 design with a few notable improvements. The thick acrylic crystal of the original has been replaced by a double-domed AR-coated sapphire, the bi-directional 120-click bezel has been replaced by a locking uni-directional bezel, and the one-piece case has been replaced by a two-piece screw-down design, all greatly improving on the durability and service life of the original. 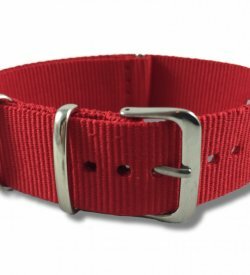 Additionally, the fixed bars of the original have been replaced with drilled lugs, allowing for both two-piece and single-piece straps to be fitted on either standard or fat spring bars. The case is bead-blasted, stealth and non-reflective, exactly as a military watch should be. There is not a single polished surface to be found on this watch, and those of you who are allergic to “bling” will be absolutely smitten with the overall aesthetic. 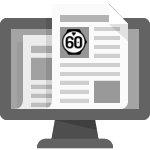 The case is also rated to 200m, verified according to ISO 6425. 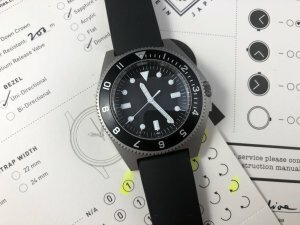 Not only can you wear this watch scuba-diving, it’s bound to stand up to yard-work and wrestling with the kids as well. The dial is almost ludicrously simple, with basic geometric shapes indicating the various time positions. The lume is applied inside the markers, with a bit of space left around each border. This gives the dial a bit of depth and interest, but also makes the dial take on a slightly different personality in low-light situations. It glows an icey blue and lasts well into the night. A version with a date window is also available, but given the simple perfection of the no-date version (and my aversion to diagonally oriented date windows), I find the latter to be much more appealing. The hands are bright white, with a basic lume-filled ladder shape that perfectly matches the configuration of the dial. 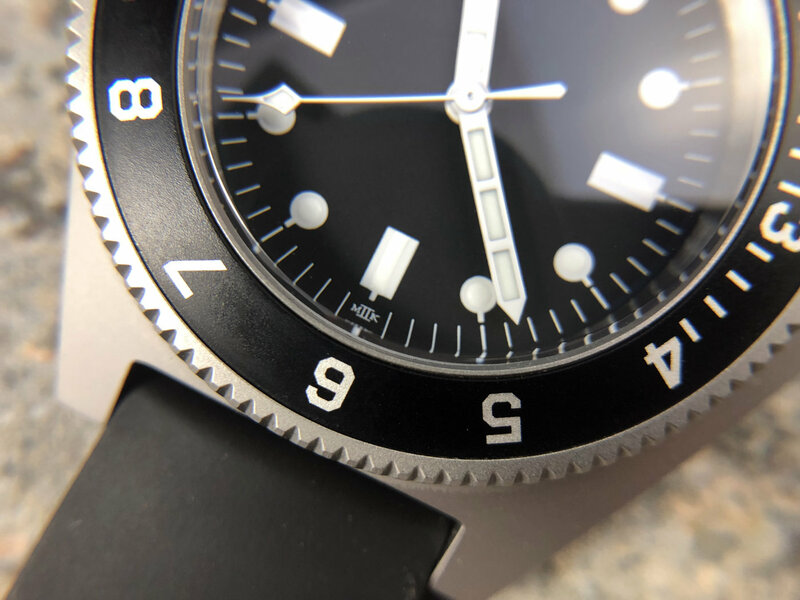 The seconds hand has a diamond-tip and a slightly flared tail, all details found in the MIL-W-50717 design as well. As far as straps go, there are currently two options. 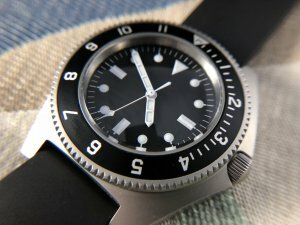 All versions come with a standard black NATO strap, although for me it causes the watch to sit a little too tall on my thin wrists. 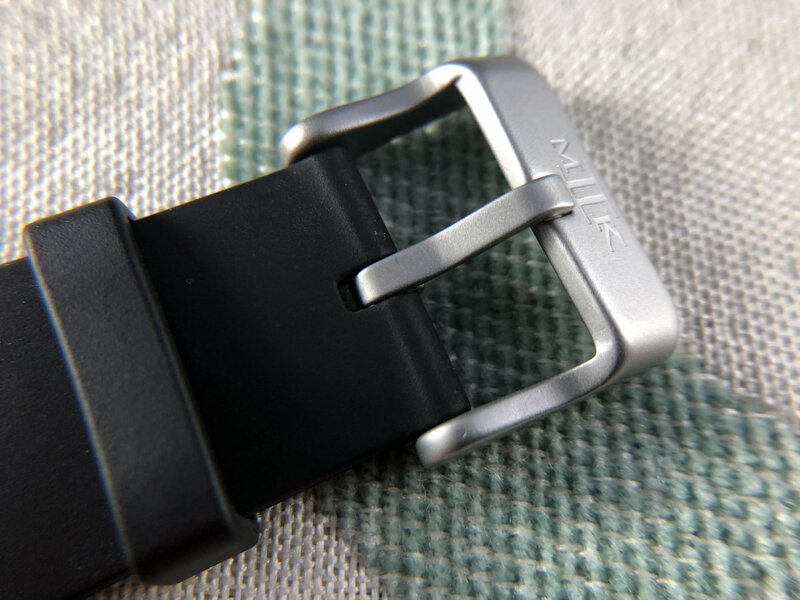 The second option, which I prefer, is the MKII rubber strap. 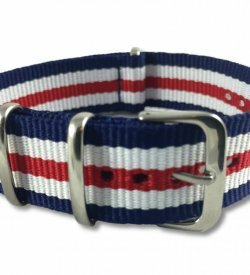 It’s a comfortable strap with a beautifully branded satin buckle, and for an additional $25 I think it’s a no-brainer addition to your kit. There are currently six different configurations of this watch available for purchase. 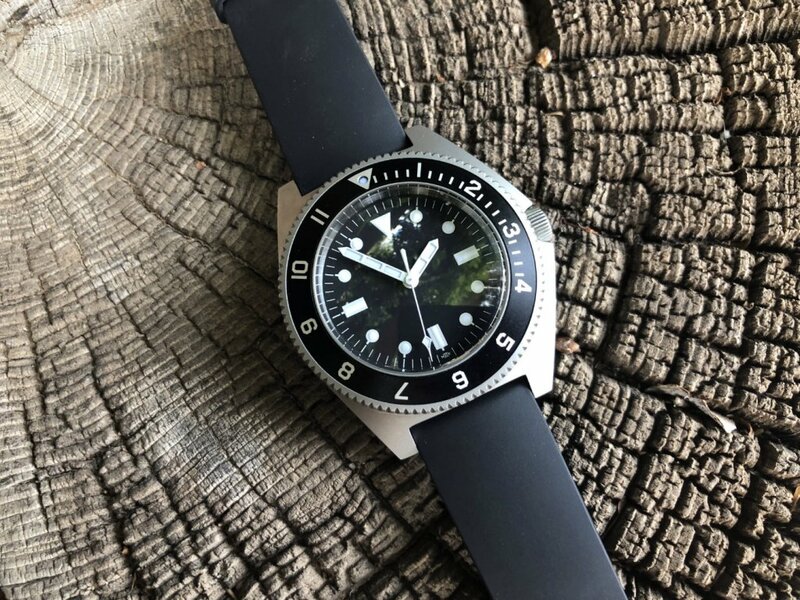 They are essentially different combinations of the date/no-date dial and the 3 different bezel inlays: a 12-hour aluminum bezel, a 12-hour acrylic bezel, and an aluminum dive bezel. The 12 hour bezels enable basic GMT functionality, while the dive bezel is better marked for actual dive timing. I find the 12-hour bezel to be the most practical, as it can do double-duty tracking multiple time-zones as well as basic timing tasks around the house that are under 20 minutes. 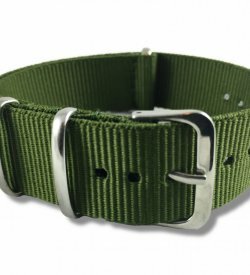 Current production versions utilize Seiko’s 2.5mm “Fat Bars”, which are essentially heavy duty spring bars that make the possibility of breaking off your strap nearly impossible. I believe that earlier versions of the RTW Paradive utilized traditional 1.8mm spring bars, although they would be easy enough to swap with fat ones if you needed to. 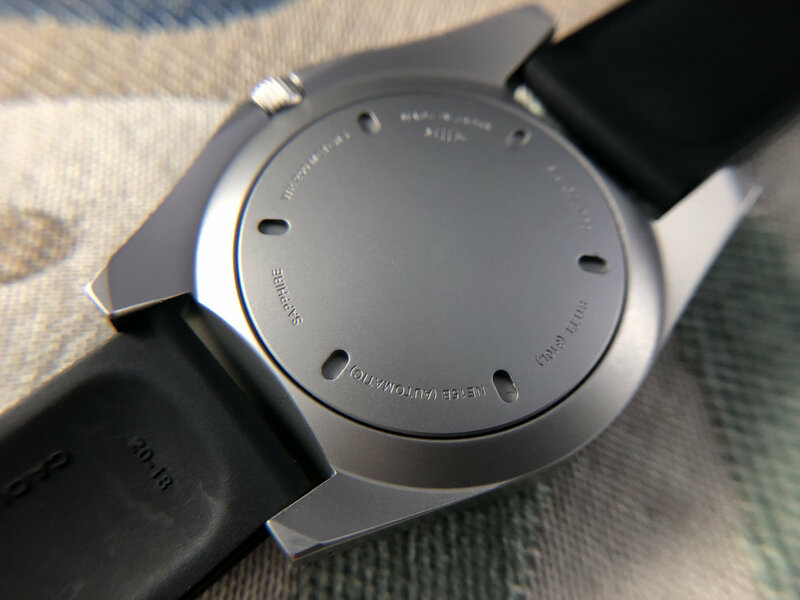 Although the watch does have a significant wrist presence, due mostly to its thickness and asymmetrical case, it’s an incredibly low-key watch. The matte steel and black rubber make this watch a sleeper, and the only branding on the sterile dial is a microscopic MKII logo placed at the bottom of the dial. If there is one knock I can make on the proportions, it’s that the case feels a bit top-heavy. It tends to want to spin around the wrist, and those with smaller wrists may find it a bit uncomfortable for prolonged wear. Inside the watch beats the Japanese SII NE15 movement, the OEM version of Seiko’s ubiquitous 6R15 (found in most of Seiko’s mid-range Prospex line). Although the first generation of the Paradive contained a Swiss-made ETA movement, it was also double the cost. Utilizing the Japanese OEM movements has allowed MKII to move into a much more approachable price point. This Japanese movement is nothing to scoff at either. 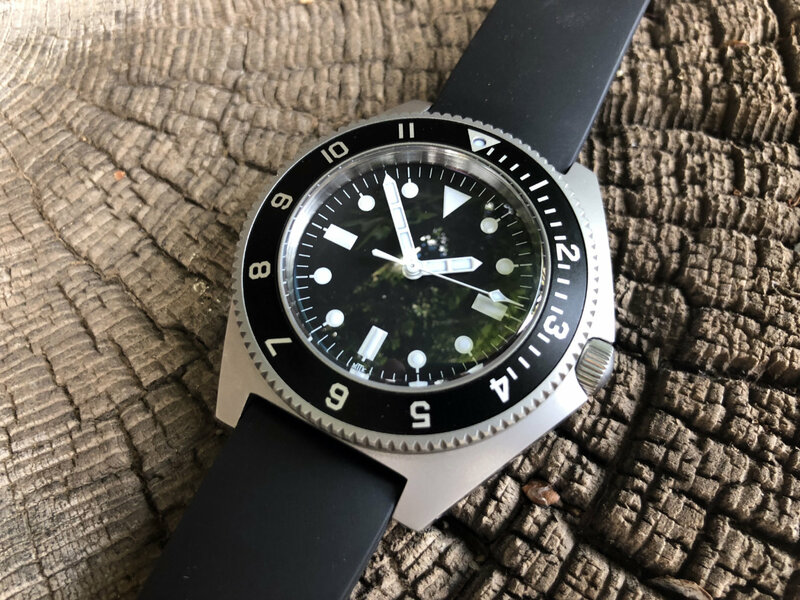 A proven and durable movement that has been utilized in some of the world’s most popular Seiko watches (like the Seiko Alpinist), it has a track record for both durability and accuracy that rivals its Swiss counterparts. If you can accept that the movement has a slightly lower beat rate, it measures very comparably to an ETA 2824. Overall, the MKII Paradive is an excellent addition to Yao’s ready-to-wear line of watches. It’s a perfect combination of pure vintage military aesthetic and modern watch build quality. 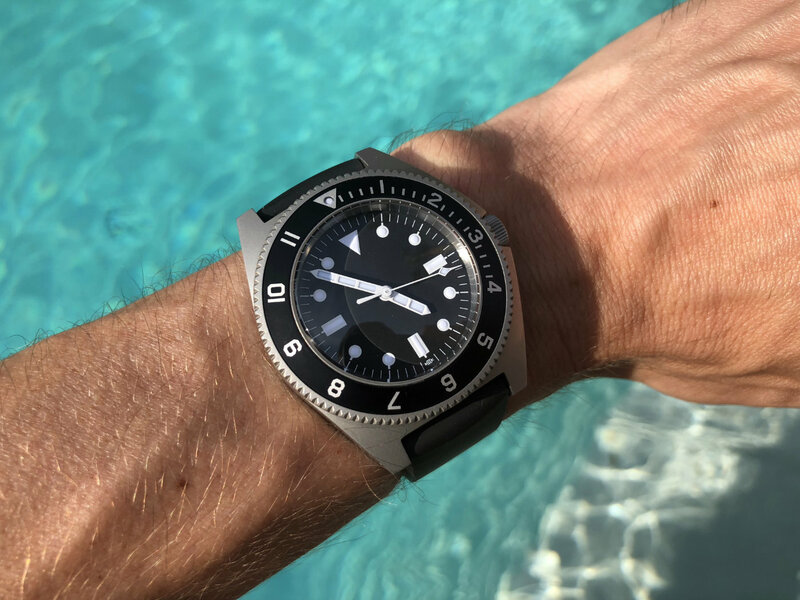 Although some may be undeniably happier with an original Benrus Type I diver, it’s hard to deny the durability and practicality that a modern watch provides. If the vintage Benrus isn’t something you’re going to feel comfortable wearing on a day-to-day basis, and acquisition and service costs are prohibitive, the MKII makes an incredibly appealing alternative. And even for those not in the market for an original Benrus Type I, the Paradive is a great choice for a casual and durable summer watch. Although it may lack the patina and history of its vintage counterpart, there is plenty of space here to create your own. BTW, the Seiko turtle uses the 4R36 movement not the 6R15 as mentioned. 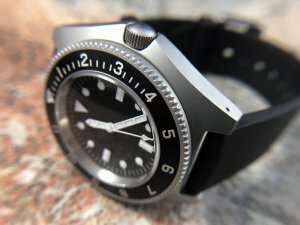 I have the watch (variant with acryl covered 12h bezel) and find it absolutely splendid in all details. 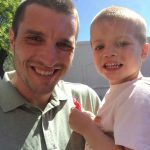 Some people think that the movement is of lesser quality than a higher beat ETA, but in my case it gained 1.5s/day during a two week trip. MKII adjust them well. Btw – I actually do like the date window!